BRYAN EATON/Staff photo. 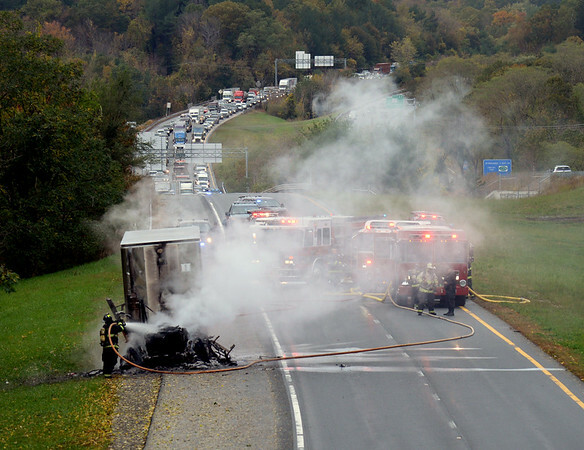 Firefighters tackle a tractor trailer fire on Insterstate 495 northbound in Amesbury on Monday morning. The cab of the rig was destroyed and traffic was backed up and diverted.